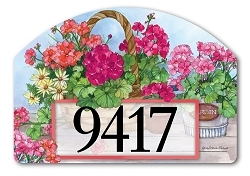 If you like our MailWraps® mailbox covers, you'll also enjoy our Yard DeSigns® collection of magnetic yard art for use on the lawn, garden, or front porch! Featuring metal stakes and ornamental yard post and interchangeable magnetic designs, this exciting outdoor decor line offers a unique way to enhance your home's surroundings! 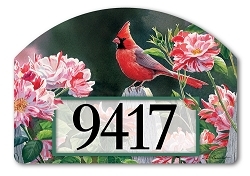 Popular Yard DeSigns themes include holiday, garden, and more - all featuring designs from the most sought-after artists in the home decor field! 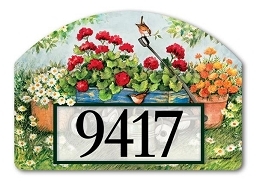 Most styles include a set of vinyl self-adhesive address numbers, while others contain greeting messages such as "Welcome" or "Happy Easter". 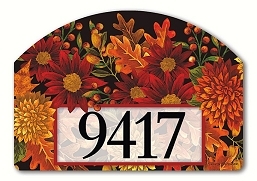 Most Yard DeSigns have matching BreezeArt flags, MailWraps magnetic mailbox covers, and MatMates interchangeable mats. 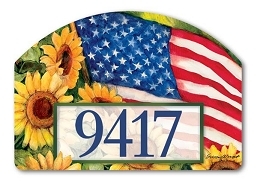 Yard DeSigns Magnetic Yard Signs are easy to use! 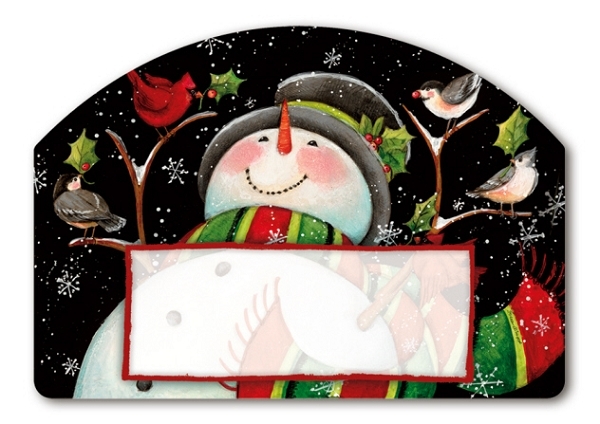 1) Start with our Yard Stake or Ornamental Yard Post w/Hanging Plaque. 2) Add any Yard DeSigns magnetic face. 3) Affix the easy-to-apply numbers (included where applicable). 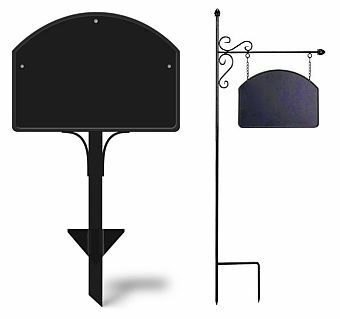 Our Yard DeSigns hardware (ornamental post w/hanging plaque and metal yard stake) feature durable hand-welded construction and are finished with the same powder-coated urethane commonly used on patio furniture and lawn equipment. 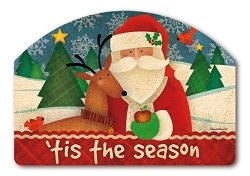 Our colorful magnetic artwork is screen-printed for accurate reproduction and exceptional durability. This product holds up under extreme weather conditions, including the intense heat, sun, and extreme cold and wind. Optional metal yard stake (14"W x 25"H) and ornamental post w/hanging plaque (19"W x 50"H) available at checkout. 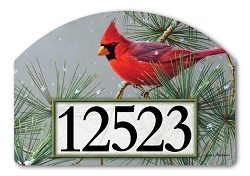 Ornamental post w/hanging plaque may be positioned in your yard to display one side facing towards street using one Yard DeSign, or display both sides facing perpendicular to the street using two Yard DeSigns. Either way the yard DeSign Ornamental Post display looks outstanding in your yard or garden.